Is it bad that when I hear “honey” my mind fills in “boo boo child”? I’ve never even seen this show! My mom thinks it’s despicable that I watch the Kardashians, so I haven’t dared to indulge in a show about an incestuous family raising a beauty queen. At least that’s what I gather the show is about. Don’t correct me. SPEAKING of television. Whoa, Dexter. Whoa. I wanted to watch Revenge and Homeland last night, too, but I couldn’t stay awake. 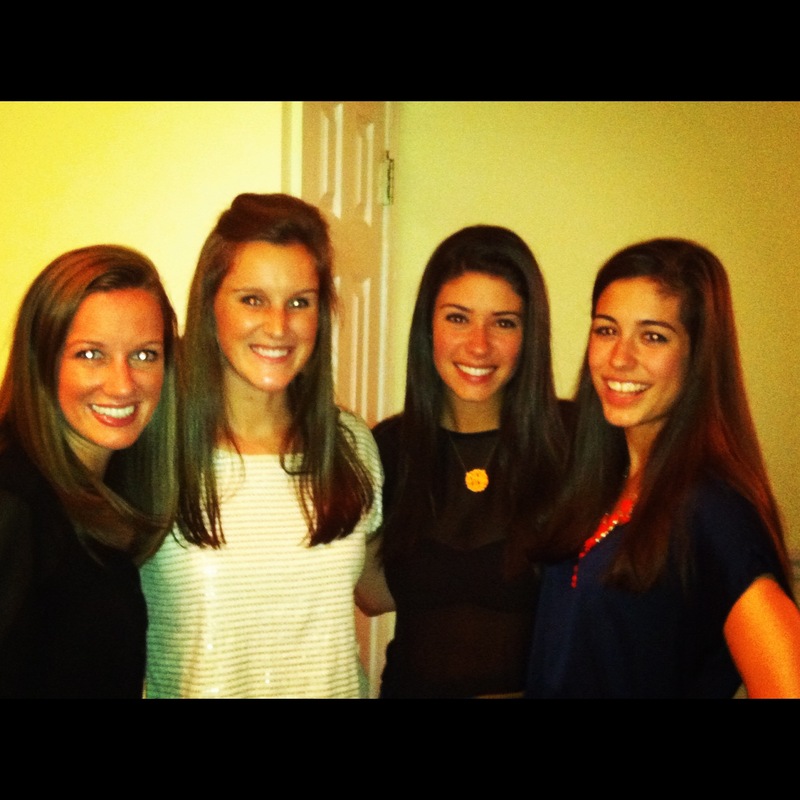 I only got about 3 hours of sleep on Saturday night because I had some of my BFFs from Loyola visiting, and staying awake chit chatting in the kitchen until 4 AM was a requirement. Then I taught Body Pump yesterday and thought I was going to fall off the stage because I had the shakes, but hoped I wouldn’t because you could probably smell the Boordy Rockfish coming from my pores. Whoops-a-daisy. Given that, it’s ironic that I’m giving you a recipe with alcohol in it. I made this last week and it was mmmm mmmm good. Pat the chicken dry and season it with salt and pepper on each side. 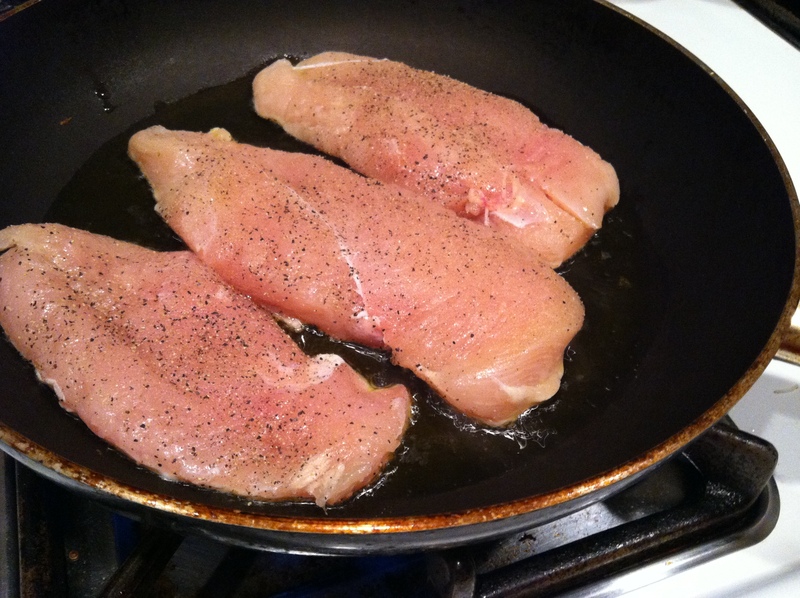 Cook it in a little bit of olive oil until browned on each side. Remove from pan. Lower the heat in the pan, then add about half a beer. 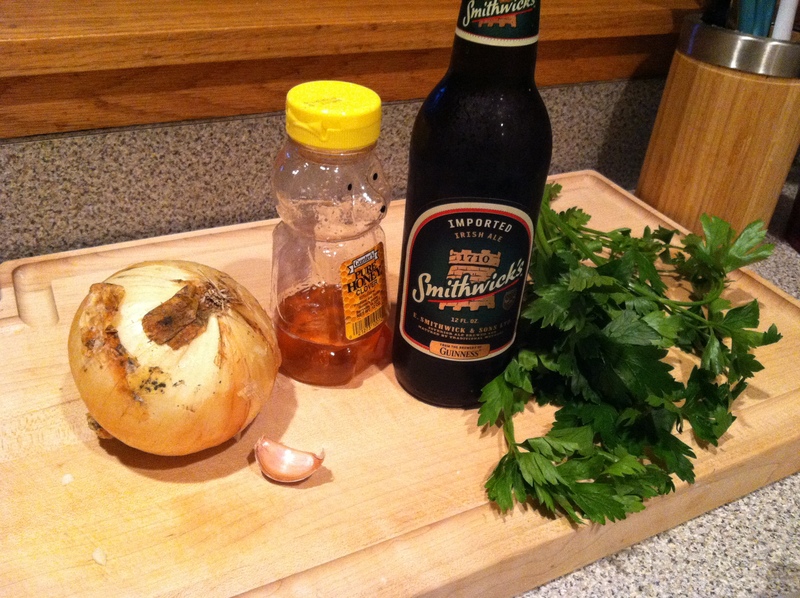 I used a Smithwick’s Irish Ale that had been in our refrigerator since St. Patrick’s Day. That’s one way to dispose of it. I of course drank the other half and it was still good. Add the onion, garlic, and honey. Stir to combine. Continue to cook under medium-low heat until it reduces to about half the original content. Add the parsley at the end. 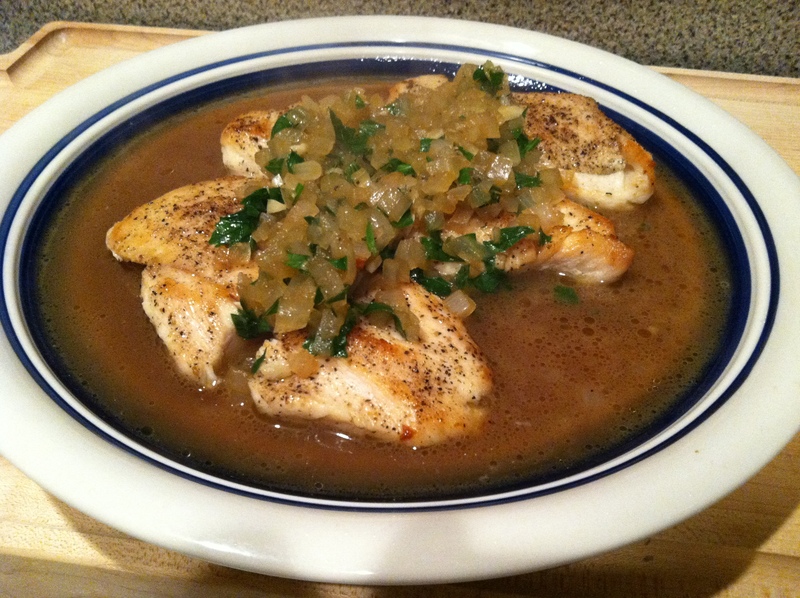 Pour over chicken and enjoy! This definitely tastes like beer, so I recommend using a good beer. Natty Light chicken is probably not a new trend. 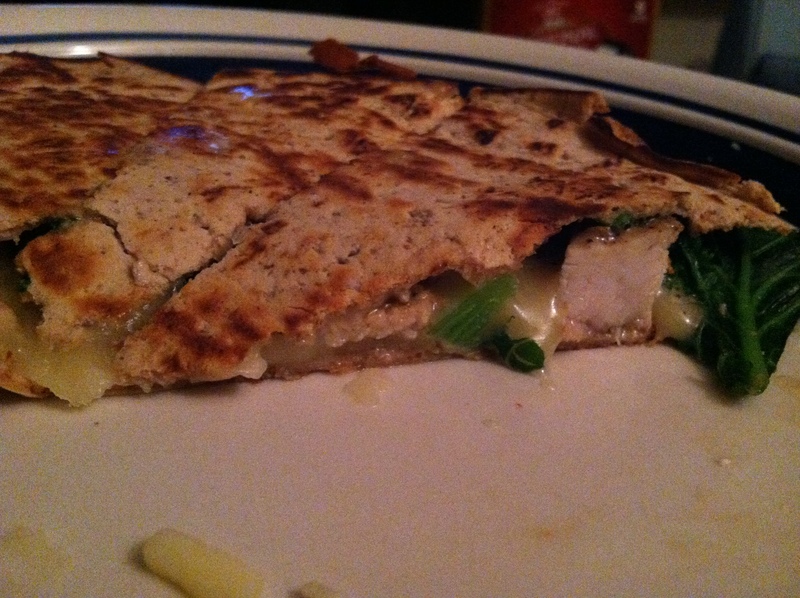 THEN the next day, in a stroke of genius, I took the leftover chicken breast that had been sitting and soaking up the sauce for 24 hours, and shoved it into a quesadilla with pepper jack cheese and sauteed kale.